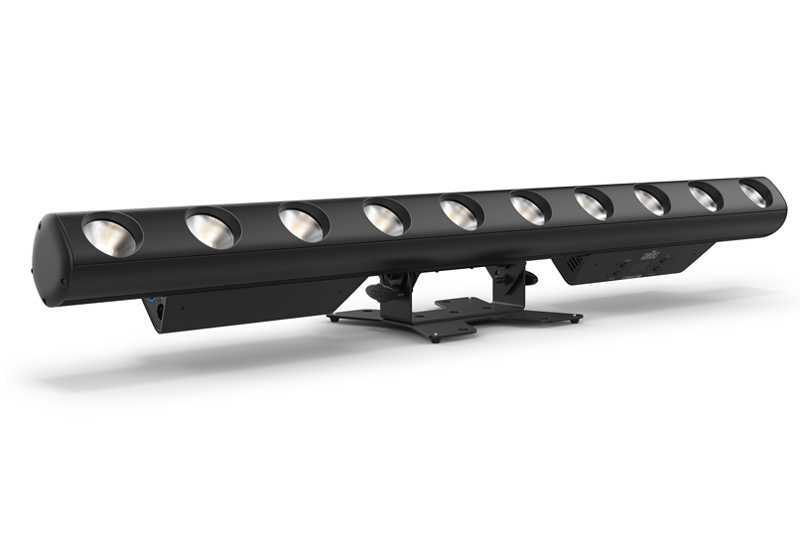 Chauvet Professional’s Strike series is expanding to include its first-ever batten-style fixture. The new Strike Saber packs the intense punch associated with the series’ pod fixtures, but in a linear configuration that features 10 x 17W warm white/amber LED cells. A versatile fixture, the new Strike Saber excels as a powerful blinder, strobe, footlight or tunable white wash. Pixel mappable, it can also be used to create captivating chase effects, making it strikingly effective as a set piece. Adding to the attractiveness and immersive qualities of the Strike Saber is its emulated amber shift, which warms the color temperature of the light as it dims to create a very realistic incandescent look. The newest member of the STRIKE family also includes 16-bit dimming for smooth fades. Measuring 39.3 x 3.08 x 6.18 inches (1000 x 78.4 x 157 mm), the Strike Saber also features a user-friendly OLED display, Adjustable Pulse Width Modulation (PWM), Remote Device Management (RDM), and an included floor plate for easy ground level mounting.